This week I want to talk to you about Measuring Lung Function, and monitoring Asthma. HealthCare4All have some new products that are aimed more at healthcare professionals. However, they can be used by the general public too. The Vitalograph micro™ is a high quality spirometer at a great value price from the leading provider of spirometry devices to general healthcare and occupational health markets. This reliable, easy-to-use entry-level model offers all required functionalities in a full feature spirometer that is unrivalled in its price range. The micro features the same high performance measuring technology used across the Vitalograph range and requires no user calibration. In contrast to turbine spirometers micro does not feature any sensitive moving parts, guaranteeing robustness and the highest possible measuring accuracy – even at very low or high flow rates. The running costs per measurement are low, as no expensive disposable sensors, turbines, spirettes and flow tubes are needed. Optimal hygienic operation is assured via Vitalograph Bacterial Viral Filters (BVF™). The micro is the ideal choice where fast accurate testing is required in environments where mobility is important. The test results and curves on the micro are displayed on the colour touch screen and, if required, can be downloaded as a PDF for printing, filing and manual uploading to electronic medical record (EMR) systems. The new GLI spirometry predicted equations and Z-Scores are built in. Getting diagnosed with asthma can be daunting. Though with the right medication and care, asthma patients can stay fit, healthy and lead a normal life. As well as taking your regular asthma medication, there are certain lifestyle habits you can adopt and things to avoid that can help reduce asthma symptoms and the chances of an attack occurring. As Asthma.org warns, smoking and breathing in other people’s smoke aggravates asthma and makes it worse in the long-term as it causes damage to the lungs that is permanent. In fact such is the negative impact smoking has on asthma sufferers that 82 percent of people with the respiratory condition inform Asthma.org that tobacco smoke affects their asthma. Numerous things can trigger asthma and one person’s triggers might be considerably different to another’s. Some of the most common asthma triggers include animal hair, pollen, airborne irritants, such as cigarette smoke, dust mites, pollution in the atmosphere and chemical fumes. HealthCare4All have a whole range of products to aid allergy issues such as Humidifiers, Qu-Chi Acupressure Bands, or Bionette Electronic Allergy Hayfever Relief Device. Take a look at Healthcare4All.co.uk for many more options! It is therefore important that if you do have to go out in very cold weather, to wrap up warm and cover up your nose and mouth with a scarf. You should also have an asthma inhaler close by. As animal fur is a key asthma trigger it is wise to keep pets out of bedrooms. As well as keeping pets out of bedrooms, try and keep them off the furniture so if you are prone to asthma attacks you are not in direct contact with the pet hair. As Health Communities inform, worry and intense emotions can intensify asthma symptoms. Consequently it is important for people with asthma to try and relieve feelings of stress and worry and make time for doing things that they enjoy and helps them relax. Respiratory aids can be an effective way to help asthma sufferers breathe more easily. For example, the Salitair Inhaler Therapy Asthma and Allergy, a clinically tested pipe that is filled with salt crystals that provide a salty microclimate, can effectively calm and cleanse the cells of the respiratory system to aid easier breathing. If you do suffer from this condition in which 5.4 million people in Britain alone are currently receiving treatment for, it is important that you keep asthma inhalers and other medication for the respiratory condition close by. To find out more about treating asthma visit the NHS.uk Asthma treatment page. For more advice and tips about different aspects of our health and wellbeing, keep returning to Healthcare4all.co.uk’s regularly updated blog. As I lay in bed aching from head to toe with ‘The Flu‘ a few weeks ago, I thought with so many respiratory problems around at this time of year why not tell you about my favourite Peak Flow meters. HealthCare4all.co.uk has a great selection to choose from. Peak flow monitoring is a recognised tool in asthma management. Keeping accurate manual peak flow meter records is sometimes difficult, the eMini-Wright brings peak flow monitoring up-to-date. 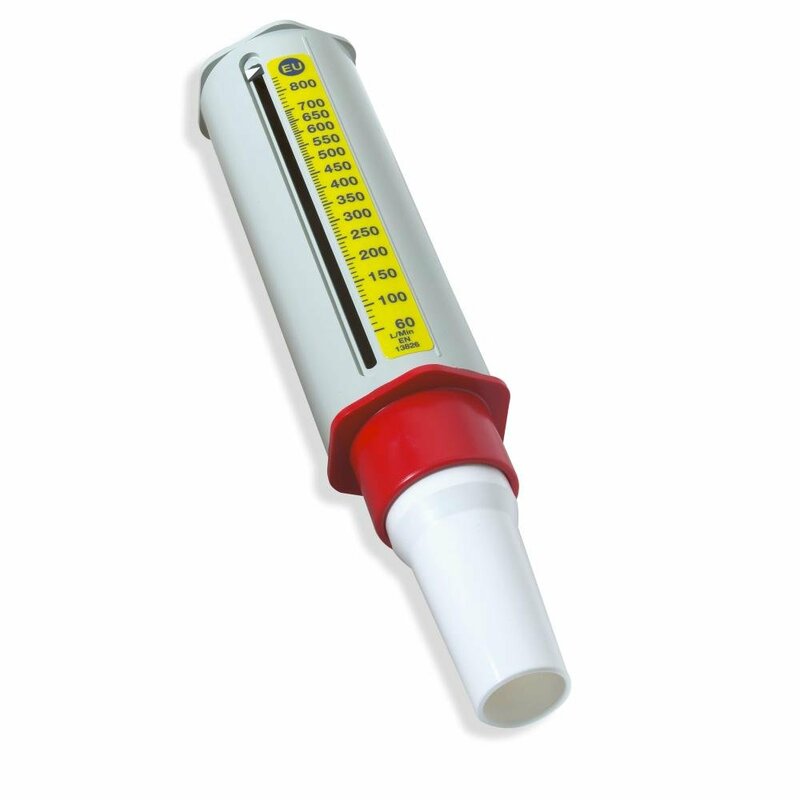 The eMini-Wright is a small, discreet electronic peak flow meter that accurately measures and stores peak flow data. The data can be retrieved and downloaded to a PC. The eMini-Wright reports if a peak flow effort is not part of a reproducible group of readings. Software is compatible with Windows XP (SP3), Vista, Windows 7 and Windows 8. Peak flow monitoring is a recognised tool in asthma management. Keeping accurate manual peak flow meter records is sometimes difficult, the eMini-Wright brings peak flow monitoring up-to-date. The eMini-Wright is a small, discreet electronic peak flow meter that accurately measures and stores peak flow data. The eMini-Wright reports if a peak flow effort is not part of a reproducible group of readings. N.B. There are 2 models available – BASIC and DOWNLOADABLE. If you intend to transfer your readings to a computer you must ensure you purchase the DOWNLOADABLE version to begin with (not this item). Compatible with the Piko-1 and Piko-6 peak flow meters. Simplicity. Easily download data via infrared port on PiKo and cradle. Graphical Customization. Viewed parameters selectable for table and graphs as well as dates, data, scales, and zones. Graphical data selectable for morning, afternoon, or all day. Intelligent Design. PiKoNET configures PiKos with zones and reference values. Automatically calculates diurnal varition and links serial number(s) of PiKo(s) to the patient record. Reporting. Reports include patient data, tables, and graphs that can be previewed on screen, printed, or saved as a PDF file on the patient’s record. Records. Patient Records include ID, patient demographics, and reference values. Security. Password protected databases can be created for storing patient records in groups or for trials. New version of software (2.1) will work with 32-bit and 64-bit operating systems such as Windows Vista, Windows 7 and 8, but is not compatible with older versions of Windows. The previous version of the software is compatible with the older versions of Windows (Win 98, ME, 2000, XP) – if you need the older version please specify at the time of ordering. First of all Happy New Year! I hope you are all enjoying 2017 so far! As I lay in bed aching from head to toe with ‘The Flu‘, I thought with so many respiratory problems around at this time of year why not tell you about my favourite Peak Flow meters. #HealthCare4all has a great selection to choose from. So what is Peak Flow?